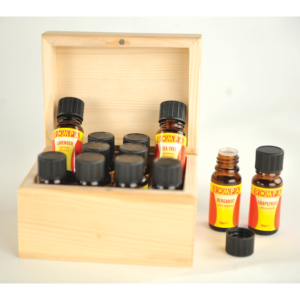 Rompa’s aromatherapy kit is an easy to use compact kit with its own attractive, wooden case that allows the user to store the 12 oils upright. Suitable for a wide range of uses – with the Aroma Stone, Interactive Aroma Panel, Aroma Diffuser Professional, in the bath or for massage. Useful for stimulating memories, encouraging appetite, massage, bathing, freshening rooms and masking less pleasant odours … these oils can be used in many different ways. Using an oil in a fan-operated diffuser is both simple and safe. Our sense of smell is not only very sensitive and powerful, it is connected to mood, emotions and feelings. Aromas can transport us to our childhood and stimulate memories of loved ones and happy times. Aromas can also be used to distract during treatment and to help maintain connections with individuals when incorporated into massage. Aromatherapy is coming back into vogue, notably in the USA, but also in the UK. Some perfume houses are consciously choosing to use more essential oils in their perfumes to avoid the use of preservatives. Note: it is recommended that this kit be used by someone who has attended an aromatherapy course (such as ISPA or IFA) and has sufficient knowledge for its safe application. 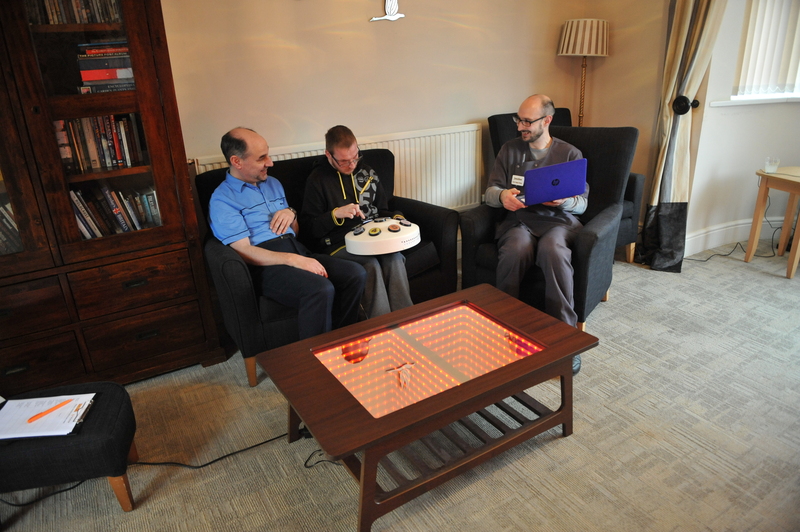 Multi-purpose furniture can greatly enhance life for Older Adults suffering from Dementia and other conditions, they not only delight but encourage engagement and interaction which can be extremely fulfilling. We provide a wide range of multi-purpose furniture which we recently had the opportunity to present to clients at Edmund Street – a local activity centre for the elderly and those with additional needs. The response from the clients to the furniture was extremely heart-warming to watch and we were able to capture some great photography. The 8 way switch provides endless interactive possibilities. 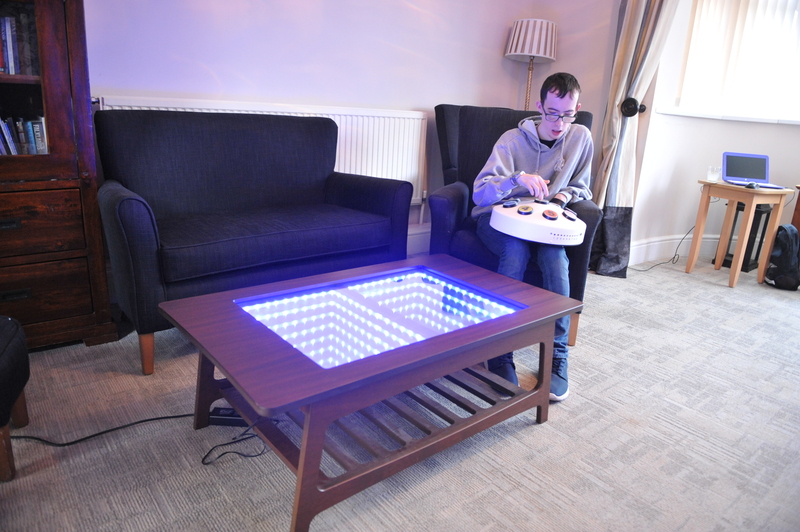 It can be wirelessly connected to other furniture in a room, resulting in immersive colour changes at the touch of a button. This acted as a great talking point for colour preferences and helped to reinforce cause and effect. 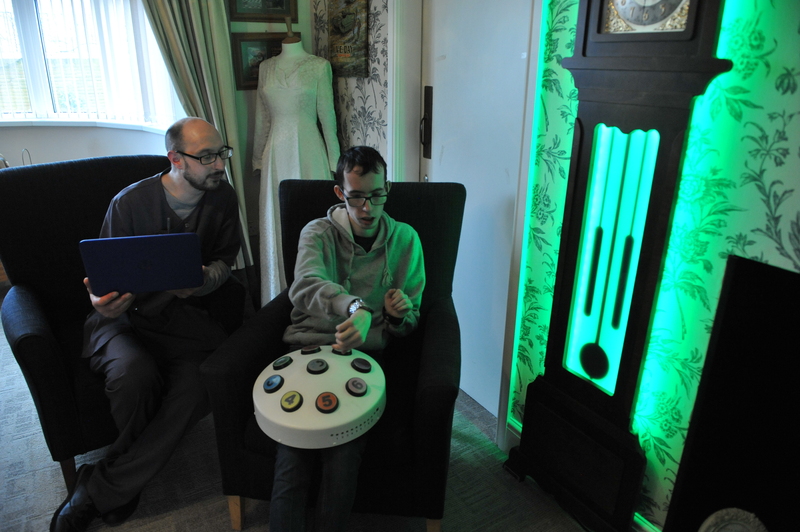 The switch not only acts as visual stimulation but provides audio too, much to the delight of the clients, the switch ‘speaks’ the number on the button when pressed. When linked to the correct software, the switch also plays musical notes when buttons are pressed. 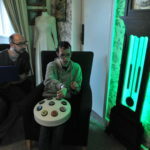 This was particularly popular with the clients as they were able to produce high and low notes themselves and to play their own songs. 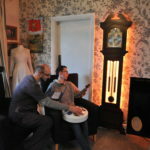 The first comment we had regarding our Grandfather Glow Clock was how great it looked in a room. It provides a beautiful, classical timepiece with added sensory benefits. The outside of the clock glows in a variety of different colours. When used with the 8 way switch, this provided obvious enjoyment for the clients at Edmund Street. The infinity table fitted perfectly around the sofas at Edmund Street and immediately provided a striking and functional centrepiece for a couple of clients to focus on. 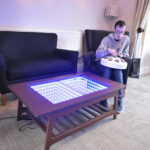 The LED lights give the illusion of continuation within the table. This proved a hit when paired up with the 8 way colour switch. The colour changes provided a great talking point. 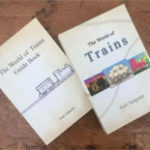 Introducing The World of Trains by Gali Salpeter – This unique train-themed set contains 50 illustrated cards and 50 story cards, accompanied by a professional guidebook detailing suggestions for individual and group sessions. Gali shares with us her reasoning behind developing this exciting NEW set of therapeutic cards for healthcare professionals. How and why these are developed? I am an expressive therapist (M.A.) with specialization in drama and narrative therapy. My background is in psychology, sociology and anthropology and I am always fascinated with the ways in which these fields interact. I have been fortunate enough to live in different countries and work with inspiring children, in settings of individual therapy and group therapy. 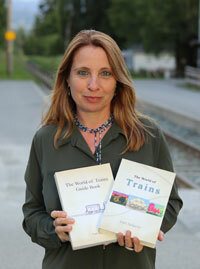 I like to travel… Each station along the path of my life has had valuable lessons to teach me. I enjoy discovering new environments, studying them and finding my own way of being and becoming along their fixed rails and wild landscapes. I also respect the power of narratives, both those built word by word within and – the ones told by others. Narratives are carried by the wind around us and I try to open myself to listen to them. These are the grounds from which “The world of trains” set has grown and developed. “The world of trains” set is a psychological tool designed for facilitating, enriching and supporting therapeutic work with children. The set includes a deck of projective cards and a deck of story cards, as well as a professional encompassing guidebook. The visual and metaphorical channels of expression, combined with the verbal and imaginary channel provided by the two decks – enrich the modes of communication offered to the client and to the therapist. The client-child can thus choose whether to express her/himself verbally, to work through a visual mode or (as often happening naturally-) to combine the two. 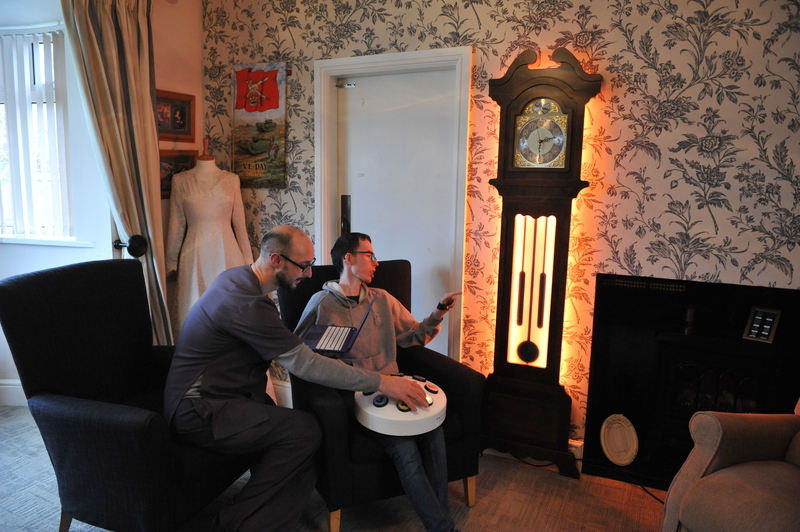 The projective therapeutic space provided by the theme of an imaginary world of trains, which is shared by carriages and engines of different types, enables the client to get to know issues from his own world better and to share and process them with the therapist in a safe, metaphorical arena. It is the flow between working therapeutically in the layer of the imaginary and working in the layer of reality that adds value to the therapeutic process. The theme of the set – a world of personified trains – was chosen as it holds images and metaphors that can easily apply to issues children cope with daily. Why these are different from everyone else’s card resources? What is their unique selling point? 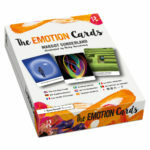 The set is a rich and useful resource which contains a deck of 50 illustrated cards, a deck of 50 story cards and a professional guidebook for therapists. Three professional tools for therapists in one kit ! As such it is unique. The deck of projective cards contains 50 images of carriages and engines, where each card can be worked with as a single stimuli. 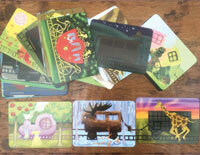 In addition, when the child puts one card next to the other, it creates an image of a train. The train and the cards composing it can represent a situation, a place, a feeling, an event or a group of people from the client´s life. The deck of story cards contains the beginnings of stories told by different carriages. The client can work with the story cards, either in combination with the illustrated cards or separately. The professional guidebook describes methods for working with the cards in settings of individual therapy and group therapy. These suggestions are organized according to relevant themes, such as: relationships and groups in different areas of the child´s life, strengths, difficulties, separation, transitions, issues within a family, coping with illness or death, aggressive behavior and violence, control, fears and more. The set is a wonderful resource that can be used by mental health professionals from different fields according to their areas of expertise. Tell me why you are so proud of them and how long they took to develop. For the world of trains to develop and come to life – as with many meaningful journeys in our life – it needed time and space, involved building relationships and demanded many hours of working alone. Each illustration was carefully designed to address relevant issues that can be processed in therapy. The colors of the cards, the material, size and shape of each illustrated carriage, the relation between each carriage and its environment, as well as other objects and features in the cards, were all carefully and professionally controlled in order to address a wide area of themes and emotions. The result of these efforts will hopefully assist the clients working with the cards to deal with the issues they are dealing with. The story cards were created one word at a time, with the goal of offering beginnings of stories that would both enable and encourage children to relate to, articulate and work with narratives from their own lives. The numerous options of using the cards in therapy when working with children having different needs emerged in a flow of ideas stemming from my professional knowledge and experience. These suggestions for application were edited (and re-edited☺ ) to result in the broad and useful guidebook, which can stand as a valuable therapeutic resource on its own. As in other adventures we embark on, there were obstacles along the way, stations that kept the train from moving forward or times when an engine or two had to halt or search for the right rails to follow. Hence, when I hold the set now, with both hands… I feel and acknowledge its visual and thematic richness and the professional therapeutic value it contains. These were born and embedded in the stations and over the tracks, in the carriages and through the changing vistas of this world of trains. I am proud of this set. I would like to believe that the future inhabitants of this world of trains, be it passengers or drivers, by-passers, clients or therapists – will benefit from exploring its landscape and find their own trails and stations along it. Please use it with respect, responsibility and sensitivity, for with these it was created. From the bottom of my heart and mind, I wish you a safe and fruitful journey. 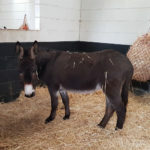 On a chilly afternoon in January with Rompa’s Marketing Manager Kayleigh, our IT Director Graham and I found ourselves at a donkey sanctuary just outside Knottingly, near Pontefract. Our mission: To discuss online marketing strategies and how Wonkey Donkey can improve their website and online presence. We talked about the opportunities available through Facebook, Pintrest and Instagram pointing out that the donkeys are a content generating resource in themselves. 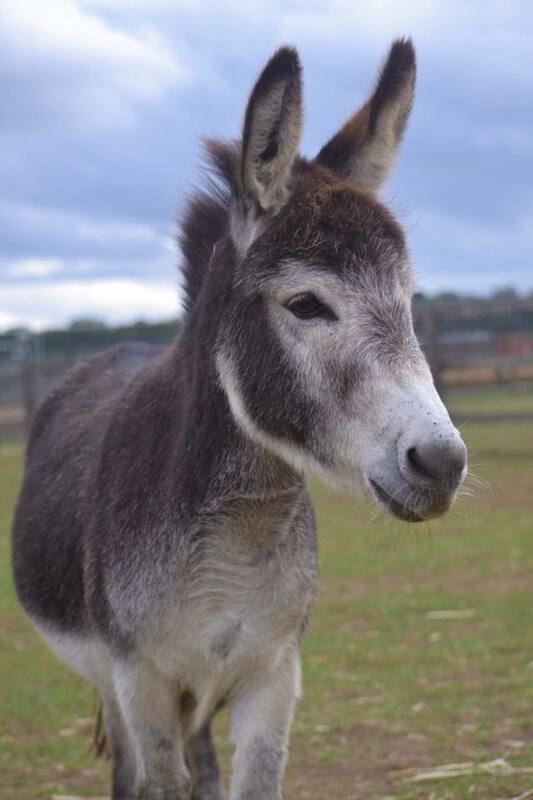 After our meeting we had the opportunity to meet the donkeys and Jenny took us through all their backstories. All of theses stories began with heartbreaking tales of mistreatment by previous owners. There was always a happy conclusion to these tales of woe, the turning point being the donkey’s rescue by the Wonkey Donkey Sanctuary. Would you share a little information about your professional background with us so we have some context about the origin of the resources? I trained to be a secondary school teacher and taught for a few years. It was the hardest years of the my life. 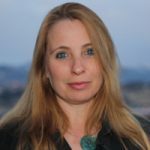 I then went on to train as a creative arts therapist and psychotherapist and become a Senior Lecturer on a Performing Arts Degree. I worked for 10 years in residential care homes with troubled teenagers. I saw time and time again that without call on images and imagery, the change process is slow or doesn’t work at all. with images people engage and the change process often flows in remarkable ways. I now run a Higher Education College entitled Institute for Arts in Therapy and Education ( academic partner of University of East London) MA in Arts Psychotherapy and MA in Integrative Child Psychotherapy and lots of Child counselling courses using the arts. Can you give us a brief overview of the Draw On Series from your perspective? They are to support children teenagers and adults to stand back and think about their lives and make sense of and process major life events. What was the inspiration, thinking or reason that prompted their development? What was your main goal when you created them? The worksheets lots were used with teenagers in residential care and with adults, children and teenagers in private practice over years. Do you need to be a trained, qualified and registered clinical professional to facilitate sessions using these resources? No. You need to be able to listen really well and to empathise and feed back that you have understand what the person is saying. .Endless questions without empathy can be dangerous and people often just shut down. And it has be totally non – judgemental listening with no lectures !! But I explain the vital dos and don’ts in the books and with the emotion cards. I would always recommend say at least a short counselling course ( e.g 30 hours) but that said, some people have natural empathy. I really liked it that the researchers for the Government Green Paper Dec 2017 Transforming Children and Young People’s Mental Health Provision found that with children/ teenagers age 2-18, to quote. There is a new edition of “Draw On Your Emotions” already available and a new version of the “Draw On Your Relationships” coming out soon. Can you explain what new content readers can look forward to in these updated volumes please? We are excited about the new add-on cards. Can you share with us how and why these were developed alongside the core resource? The cards are very powerful. Of course being full colour they can engage you a really strong way. Participants find utter relief in seeing key life experiences relationship experiences and self – states ( which so often don’t get talked about ) there in front of them. The idea is that you lay out all the cards and then simply pick up the ones that really accurately represent you, your feelings, your life, your relationships. There are cards on the market but we haven’t found any that really provide the emotional depth of the cards we have made. Hence our motivation to do so. Humans don’t have little feelings, they epxeirence powerful, intense emotional states and they need these acknowledged. The cards do this. What is really different about these books and cards compared to other resources available? I think so many resources on emotions are a bit patronsing – particularly those for children. We don’t just feel sad, cross, frightened and happy. Even young children have complex feelings and self states that, if they are not worked through, not made sense of, can so easily lead to mental health problems. Will you tell us more about the images used on the cards and the artist? Nicky is a stunning artist. She trained at The Slade ( top art school ) and can capture the very essence of particular self – states in ways that when you see them on the cards, grabs your attention as they really do speak about some of the most profound feelings we humans are capable of. Do you have any other projects up your sleeve that we can look out for in the future? Yes DVDs on attachment play and ways of being in relationship with children and teenagers that bring about emotional change. Its the opposite of spending hours on screen time where no emotional development takes place. What is Wonkey Donkey I hear you ask? 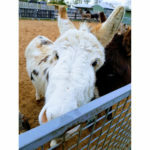 Well the clue is in the name – Wonkey Donkey is a donkey sanctuary and visitors centre that looks after over 21 Donkeys. What makes this Donkey Sanctuary unique is that they have a vision to make their sanctuary more accessible to disabled, elderly and autistic visitors. Where does Rompa come in? 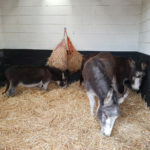 Rompa has been working with the Wonkey Donkey for over 2 years now. 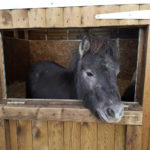 The story began when our MD visited the sanctuary with a friend. 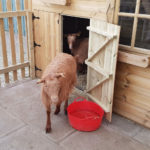 She was amazed at what was being done for the animals and was then thrilled to find out that the centre wanted to make themselves more accessible to disabled visitors. 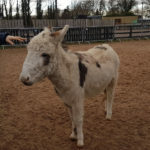 During her visit she noticed a small boy with autism at the sanctuary, he had a great time with the Donkey’s but unfortunately when his parents wanted to take a well-earned break in the café there was nothing to comfort him. 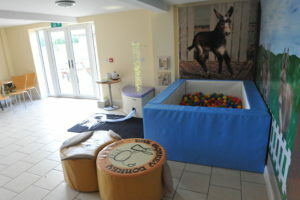 This visit sparked a long term relationship between Rompa and Wonkey Donkey which followed in the sanctuary installing a sensory area and ball pool. For individuals with a disability having a day out somewhere can be a stressful ordeal and often leads to sensory overload, especially for people with hidden disabilities such as autism. 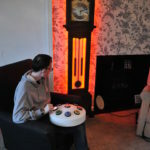 Providing a space for people to calm down such as the sensory room at Wonkey Donkey is an excellent way to not only help these people and broaden your market. Autism effects 1 in 100 people in the UK which is over 700,000 in total. For people with hidden disabilities a shopping trip can be an overwhelming ordeal as loud noises, bright lights, crowds and unusual smells flood the senses. This experience can leave an autistic child (for example) feeling very agitated and unhappy, making the shopping trip impossible for both them and their parent or carer. This is one of the many reasons why the disability organisation Purple, with endorsement from the Department for Work and Pensions have introduced Purple Tuesday. Taking place on Tuesday 13th November 2018, Purple Tuesday is the UK’s first accessible shopping day. 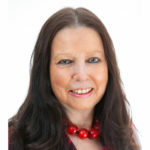 On this day major retailers and shopping centres are expected to promote accessible shopping by making one long term commitment which makes their venue more inclusive and improves the shopping experience for disabled customers. 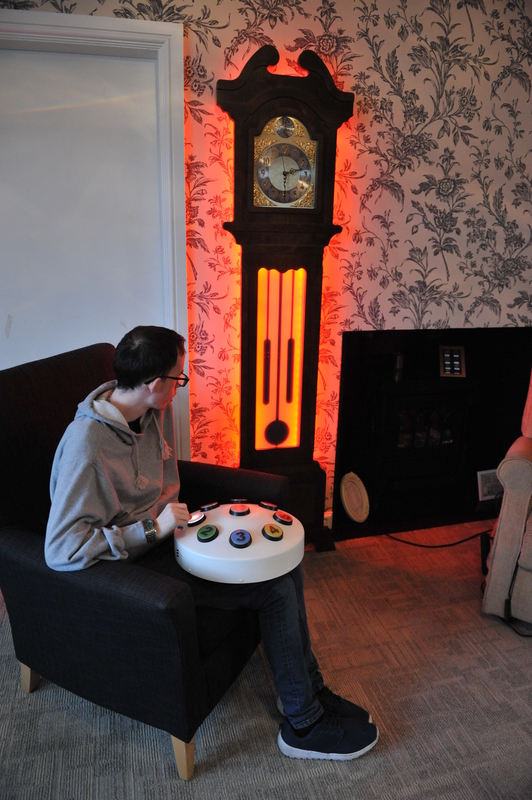 This could mean installing a sensory room where people with hidden disabilities can go to for some quiet time after or during the shopping trip or introducing a quiet hour. Approximately 2.8m people have a relative on the Autism Spectrum. Rompa have worked with many businesses in the retail sector that have taken the initiative to make their venues more inclusive. 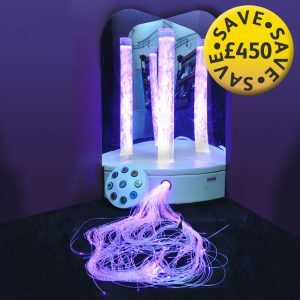 For example, Meadowhall Shopping centre asked us to provide a pop-up sensory room in aid of Autism Awareness Week. The feedback from this was so positive that a permanent sensory room has now made an addition to their facilities as well as a Rompa corner kit being installed into the baby changing area. Here at Rompa we provide a variety of products for not only shopping centres to consider for Purple Tuesday but for parents and carers alike during their shopping trip. We have just returned from our visit to Belarus where we give support to the families and children affected in some way by the Chernobyl nuclear disaster. This is a trip we undertake each year and sometimes twice per year. As I have told you there are not the facilities available in Belarus as we take so much for granted in the UK and over the years we have taken many things to support the care of the children and their recovery. 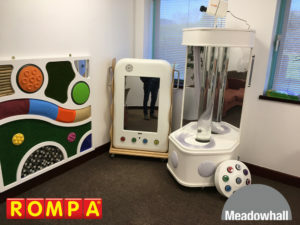 We have purchased a number of items from Rompa especially sensory lights which are not available in Belarus. We are also grateful for the items which were donated by Rompa to use to assist the children’s recovery and time, especially in the Children’s Cancer Hospital, however this year we also supplied some lights to the Social Services in Osipovichi for use with the day patients and users there. All of what we took was extremely well accepted and will benefit all that attend both places. Below is a letter I received from Elena the child psychologist at the Children’s Cancer Hospital just before my visit where she is telling me about the benefits of items we have taken on earlier visits. The letter refers particularly to Laser Sky Projector, the LED Projector and the `magic ball` is the Laser Sphere Projector. I think the letter describes the great benefits gained by the lights at the Hospital. Thank you once again for your help and support in the work we do with the children of Belarus in giving them some hope in their lives. I congratulate you on the coming Easter holiday! I wish that you, and all members of your family, all volunteers of the organization have everything in the best way. All of your health, joy, strength, happiness, success! 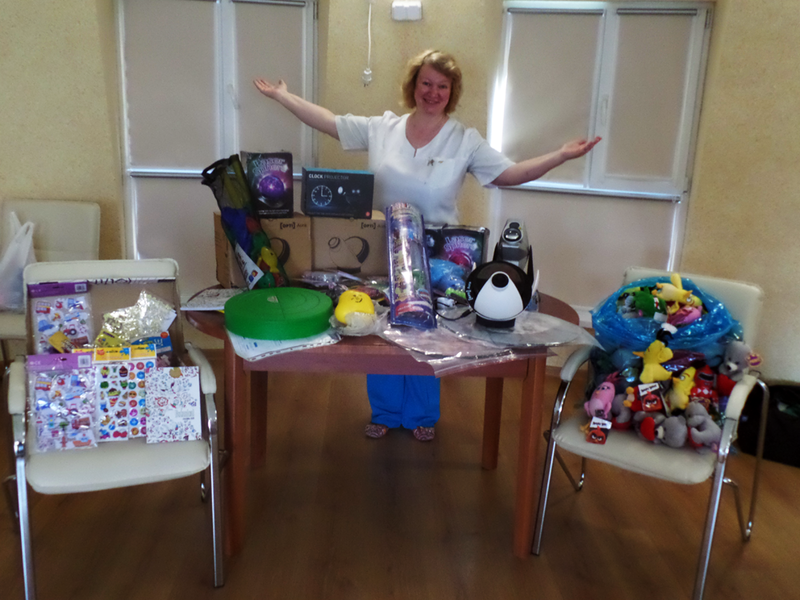 Thank you very much for helping the children of Belarus! I especially thank you for helping children with cancer. Many and many children and parents find comfort when they come to us for relaxation sessions and have the opportunity to observe the starry sky (and other pictures) on the flow of the relaxation room. It became possible thanks to the projectors transferred to our centre. Still in the procedural room of the day hospital a special love is enjoyed by the “magic ball”, shimmering with different colours, which the child can look during the procedure and be distracted, and after the procedure, children can put their hand on it and make a wish – the ball is “magic”! .. This not only raises the mood – it’s comforting! It is interesting that many children say that wishes come true! But have not miracles happened during the years of our friendship and cooperation? The day before yesterday I saw Nastya, yes, that girl, who was sick of myeloblastic leukaemia, who was lying in an isolated box, dreamed of drawing, but she could not, because on her right arm was connected a dropper. The very one I gave to the beautiful pencil brought by you said that it was a pencil for your left hand, specially brought by you from England – and she learned to draw with her left hand and was very happy about it (which is important, when you lie in an isolated box and other joys are not available to you! … she did not even have a TV, or a computer to watch cartoons ..) Now this is a big, beautiful girl who defeated the disease and became so strong that she could come to children’s holidays without a mask! Please accept greetings from Nastya and her family! Using signs can help people who have no speech or whose speech is unclear. Using symbols can help people who have limited speech and those who cannot, or prefer not to sign. With Makaton, children and adults can communicate straight away using signs and symbols. Many people then drop the signs or symbols naturally at their own pace, as they develop speech. Being able to communicate is one of the most important skills we need in life. Almost everything we do involves communication; everyday tasks such as learning at school, asking for food and drink, sorting out problems, making friends and having fun. These all rely on our ability to communicate with each other. 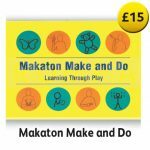 For those who have experienced the frustration of being unable to communicate meaningfully or effectively, Makaton really can help. 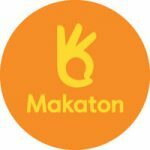 Makaton takes away that frustration and enables individuals to connect with other people and the world around them. Makaton is extremely flexible as it can be personalised to an individual’s needs and used at a level suitable for them. help people find their way around public buildings. Today over a million children and adults use Makaton symbols and signs. 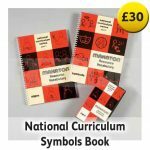 Most people start using Makaton as children then naturally stop using the signs and symbols as they no longer need them. However, some people will need to use Makaton for their whole lives. The Makaton Charity exists to ensure that everyone living with learning or communication difficulties has the tools and resources they need to communicate. Our nationwide network of over 1,000 licensed Makaton Tutors and Trainers across the UK deliver training to over 30,000 parents, carers and professionals each year. 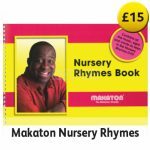 Our wide range of printed and electronic resources extends from nursery rhyme DVDs to vocabulary books covering a wide range of subjects. 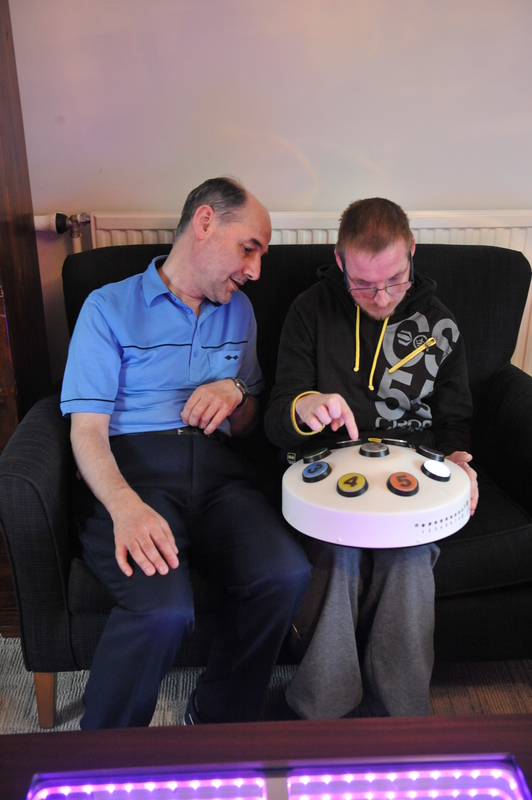 Our vision is a world in which all people with learning or communication difficulties are able to communicate, participate and achieve their potential. Rompa Saver Packs… Saving you time and money! Rompa’s range of saver packs have been specially selected by our product team and in some instances OT advisors. They are designed to help you to find what you need easily and with a saving. With the end of year budgets rapidly approaching, if you are fortunate enough to have some cash left in the pot choose to invest it wisely in a Saver Pack. 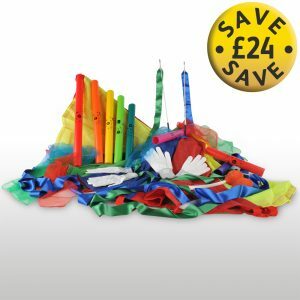 From the immensely popular bubble tube corner kits to the smaller home packs there are a range of saver packs designed to help you. Lean on our expertise! We have selected the products for each kit with a specific application in mind. The saver packs range from more simplistic kits such as the Smells Set which has been designed to address a specific sense. To more complex such as the Sensory Circuits Saver Packs designed to provide all the equipment needed to provide a specific type of therapy. Each will save you time in selecting the products and ordering them individually. Alongside this saving of time often also comes a cash saving. Saver packs come with a reduction in cost from under £10 to over £300 dependent on the size and scale of the saver pack. This equates to a nice saving and provides our customers with the opportunity to access and try our products. Excellent products and very useful to have everything you need in one package at a discounted price!